WordPress Media Folders Pro integration with Divi, Beaver Builder, Elementor, WooCommerce, ACF and More! Divi, Beaver Builder, Elementor, WooCommerce, ACF? Alan has had an incredibly productive 2 weeks since we launched MLFP S3. We had already built a number of integrations with popular galleries but we realized we needed a much deeper solution with the WordPress media library so that Media Library Folders Pro works natively with almost any plugin or theme. Today we released MLFP version 4.1.7 which does just that. About half of our inquiries were for the page builders and plugins above. We’ll be doing a bit of testing on some other plugins but in general the answer now is ‘yes, we work with it!’ Login and download version 4.1.7 from your Account page and also copy your now required license key. Here’s a sneak peak. Version 4.1.7 includes a new integration with the Media Uploader popup. When inserting images into posts and pages or adding a featured image, users will see that the folder tree has been added to the standard WordPress media library popup. Users can now insert multiple images when inserting into posts or pages. Files can also be uploaded to the currently selected folder. Previous versions added separate buttons or links for adding a feature image or WooCommerce images. These are no longer needed and have been removed. The folder tree has also been added to WordPress’ Media page. 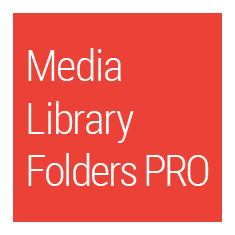 Media Library Folders Pro is now compatible with Divi, Visual Composer, Elementor and Beaver Builder and many other premium themes, page builders and slider plugins. And the folder tree will be available when selecting WooCommerce variant images. Note that these pages do not allow the moving or copying of files by drag and drop. That capability is only available on the Media Library Folders Pro page.